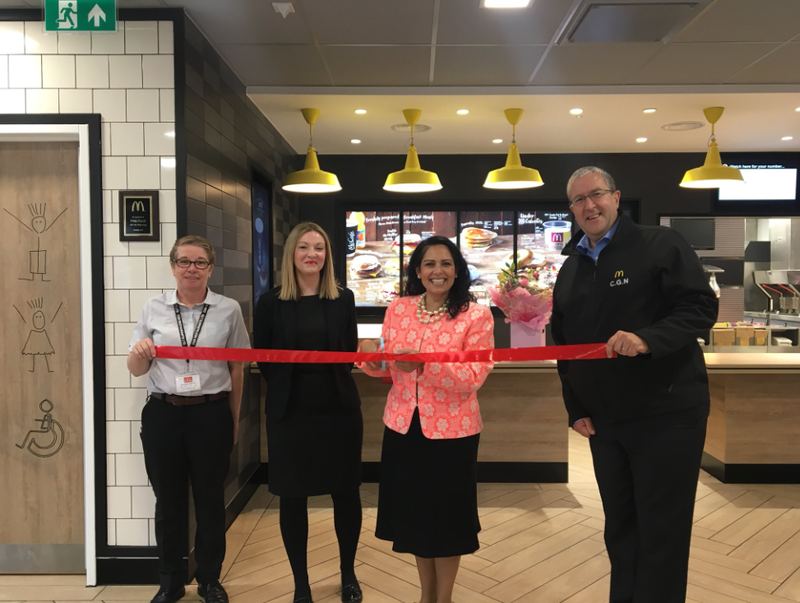 Priti Patel MP was delighted to join McDonald’s owner and Managing Director Craig Newnes at the opening of his newly refurbished store in Tollgate [Tuesday 30 October 2018]. The Tollgate area in Stanway has seen rapid growth and development over the last ten years including a growing customer base for the local branch of McDonalds. Recent growth in the area has brought in many new customers and McDonald’s Managing Director, Craig Newnes, has invested in the refurbishment of this local branch. The restaurant closed on 2 September 2018 for a major refurbishment which has seen an extension to the restaurant and a brand new kitchen installed. The branch will be open to the public from 12 noon on the 30 October 2018.